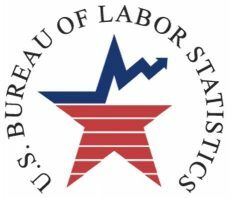 Last year’s unemployment rate for young veterans, those who served in war since 2001, hit 12.1%, a number surpassing that of the nonveteran population, according to the U.S. Bureau of Labor Statistics. Veterans struggle to find work as they transition their careers and find it challenging to adjust to the different processes and routines of civilian jobs. Likely last on their minds as they stand in the unemployment line and spell-check their résumés for the billionth time is their credit history. But it should be a high priority. Some employers are likely to pull your credit report before making a hiring decision. They realize financially stressed employees often underperform at work and may be more likely to embezzle money from the company. This means that if your credit is taking a hit during unemployment, you may have a harder time finding the job you want. Obviously, the best way to keep your credit score from sinking financially is to find a new job as soon as possible. To do it, you need to make finding a job your new job. Put as much of your energy and effort into this task to speed up your ability to find a job and decrease the likelihood that you’ll ruin your credit during this temporary phase of unemployment. Check with your local veterans agency for advice. And look into your state’s unemployment program, as well as food stamps or affordable food programs like Angel Food Ministries. Programs like these can give you a small flow of money or reduce expenses on important, frequent purchases like food, so you’re not taking away funds from your bills. Look into getting a flexible, part-time job. Nothing is beneath you as long as it helps you pay the bills and keep your credit score up – and doesn’t fall below the amount you receive in unemployment compensation. In order to be able to go to job interviews and network during the business day, though, you should look into evening-shift, night-shift, or weekend jobs. Look at local listings for job fairs that are specifically tailored to veterans under a growing movement to encourage businesses to consider the benefits of hiring those who have served their country. Accept your current situation and rethink how you spend your money. The first step is to create a new budget that includes only absolutely essential expenses. First, pay for food for yourself and your family, and then worry about having a roof over your head, utilities turned on, and transportation to get to job interviews. With what’s left, pay non-essentials and unsecured debts (credit cards and student loans). After those essentials, look at everything you can possibly cut out of your expenses. Turn off the cable and the internet (use the public library for your job search!). Cut back on your family’s cell phone plan if you can do it without paying extra. Don’t eat out or buy new things that you don’t absolutely need. If you’ve been unemployed for awhile or it looks like you will be for the foreseeable future, call and explain the situation to creditors. You may be able to negotiate lower minimum credit card payments for the time being. Even mortgage companies are willing to work with debtors who are up-front about financial problems. The key to negotiating with creditors, and keeping late payments from killing your credit, is to communicate immediately – before you’ve missed a single payment. If creditors see that you’re trying your best to make some sort of payment, in spite of your financial straits, they will often work with you. After all, your creditors will face financial issues themselves if you go into bankruptcy or foreclosure. Creditors receive calls from struggling debtors all the time. They’re used to dealing with this problem, and they probably have a protocol in place for doing so. 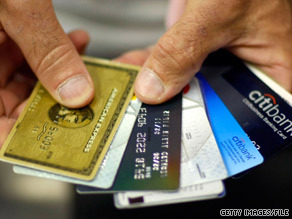 But waiting until your accounts go into collections is certainly a recipe for credit disaster! As you’re creating your budget and contacting creditors, prioritize payments. Ideally, you’ll strive to make minimum payments on all of your debts, as missing payments is the number one way to kill your credit rating during unemployment. But if you can pay some debts but not others, pay the house payment and car payments first, and then worry about credit cards. These steps should help you protect your credit score as much as possible. In the meantime, if you miss some payments and your credit report gets some dings, it may be worth your while to be up front with potential employers about how this happened during your interviews. Talk with a job coach about the possibility of being forward in your explanation of your financial situation, which may keep potential employers from making incorrect assumptions about your reputation.